Snap Kitchen debuted in Dallas last year, so this isn’t new news. However, I wanted to share my experience with you. Their colorful stores are sprinkled across Dallas and are, in my opinion, strategically placed just for me. Ha. With a location in Uptown, one off Fitzhugh and 75 near my home, a pop up shop on Preston and Royal on the way to work, and another location in the heart of Addison where I work, it was only a matter of time before the beautiful marketing would entice me into the stores. I practically drive past three stores on the way to work everyday. It was meant to be. Snap Kitchen at Preston and Royal. My first time ever! 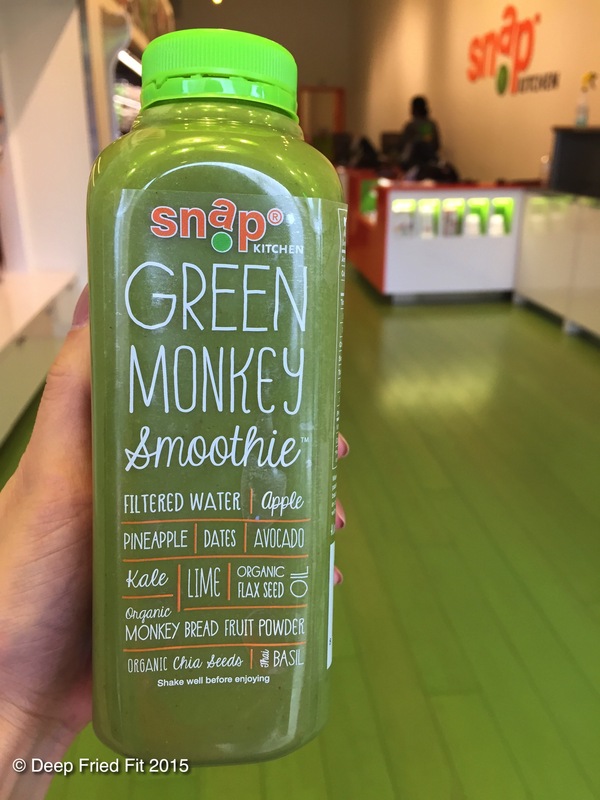 Snap Kitchen defies the misconception that healthy foods can’t also be delicious. With a chef driven menu, Snap Kitchen offers a variety of prepared meals in three different portions sizes. Orange for small, green for medium, and black for large or one size options. The meals also indicate whether they are vegan, gluten free, carb conscious, sodium conscious, Paleo and other dietary preferences. There is never a bad choice to make and I love the variety and their adventurous, creative menu. My taste buds are never bored. So many options…and good ones too! All meals have a description of the ingredients, nutritional facts, calories, and instructions for reheating and are meant to be microwaved. Sadly, I’m pretty lazy when it comes to meal prepping and packing my lunches. More often than not, I stop in on the way to work, grab something for breakfast, lunch and a snack and my work life is all of sudden easier. Snap Kitchen is my life hack. My favorite drink at Snap Kitchen. Upon entering any store, the orange and green adds a lovely pop and the space is very open. 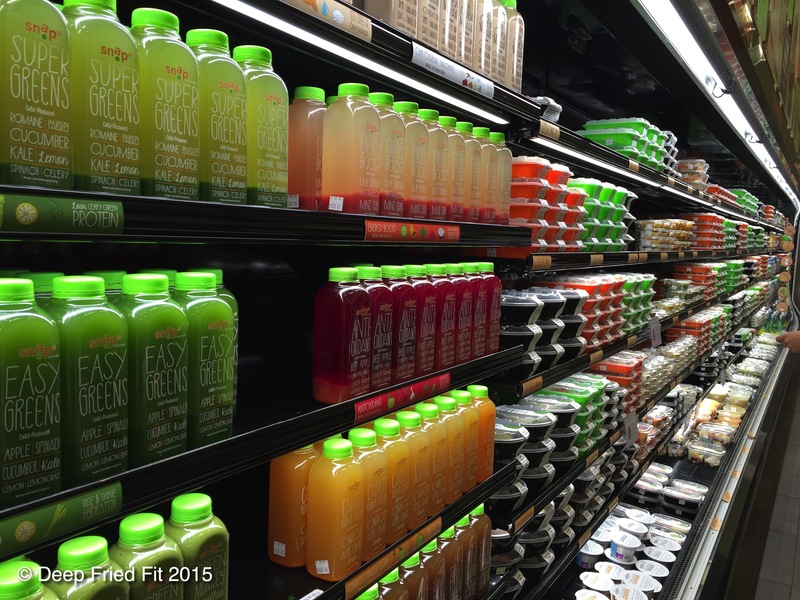 All meals stacked neatly, ranging from juices and coffees, breakfast, lunch, dinner, snacks and even desserts. Microwaves, utensils and other condiments are available if you want to grab a bite in the store. All the locations have a few bar stool set up just for this. The chicken Caesar is delicious. I’m obsessed with this salad. After countless visits and getting to know the brand much better, I met with Daniel Magoon, Registered Dietian for Snap Kitchen in Uptown. I love food talks as much as anything. 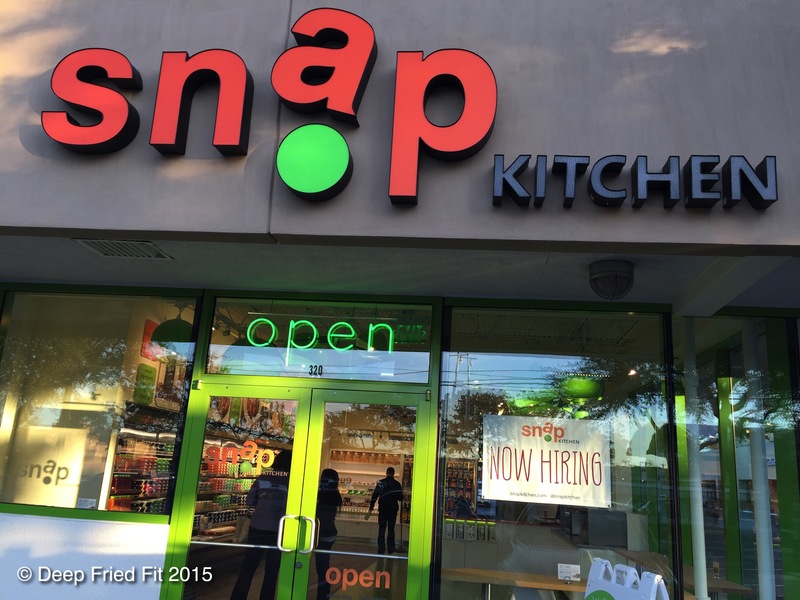 I was happy to hear that Snap Kitchen doesn’t full-heartedly boast weight loss promises or strict diet programs. Instead, humbly wants to be a place where people make healthier food choices. Some of my staples would be the chicken enchiladas, the chicken caesar salad, bison quinoa hash (I couldnt find my photo, but it tastes like a hamburger, yum! 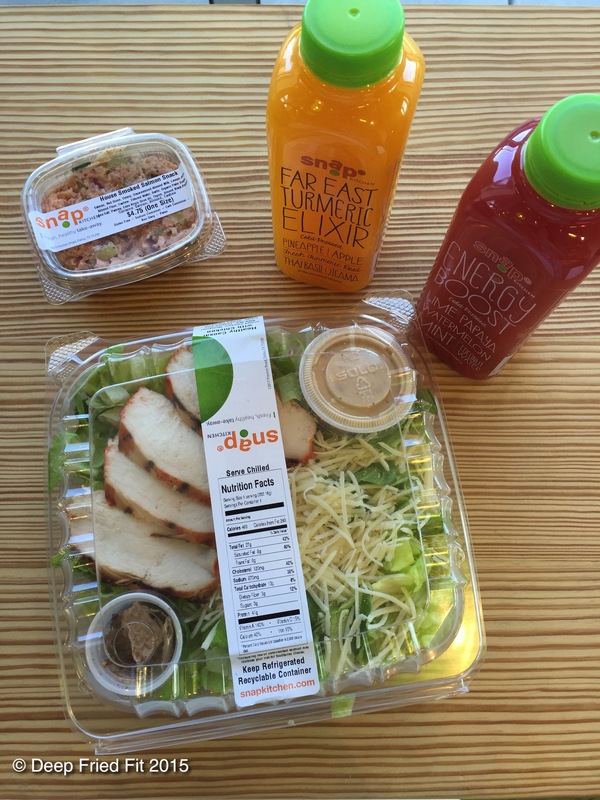 ), the Moroccan chicken bowl, and the green monkey smoothie. One of my favs is the Moroccan chicken bowl. Had this right before a spin class. Loved it. Tangy although the thai basil threw me off. Gluten free, vegan, sodium conscious silken mouse. This vegan, plant powered dish is the Grilled Kale Hoppin John. 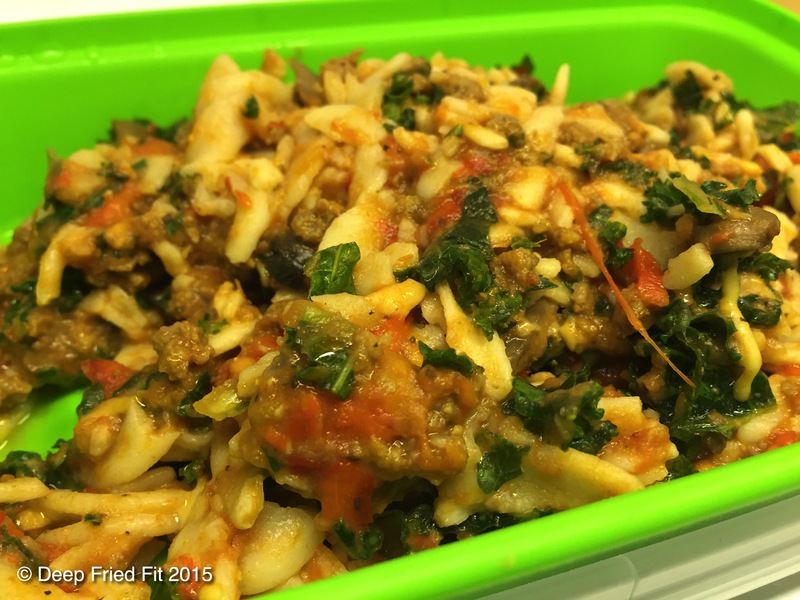 Loved the Spanish rice and packs 9gs of protein! They launched their spring menu and I’m excited for the summer menu too. Currently, I’m obsessed with their juices. If you happen to make it in, I’d love to know what you got and if you liked it! New on the menu: Italian Beef Sausage with Spirals. 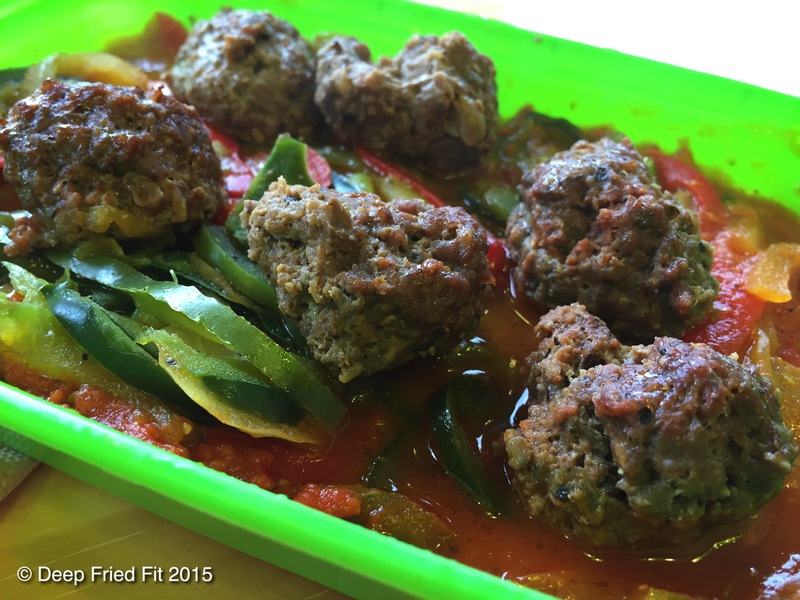 New on the menu: Beef Meatballs and Peppers. Had a nice heat to it. Wasn’t the most filling though. 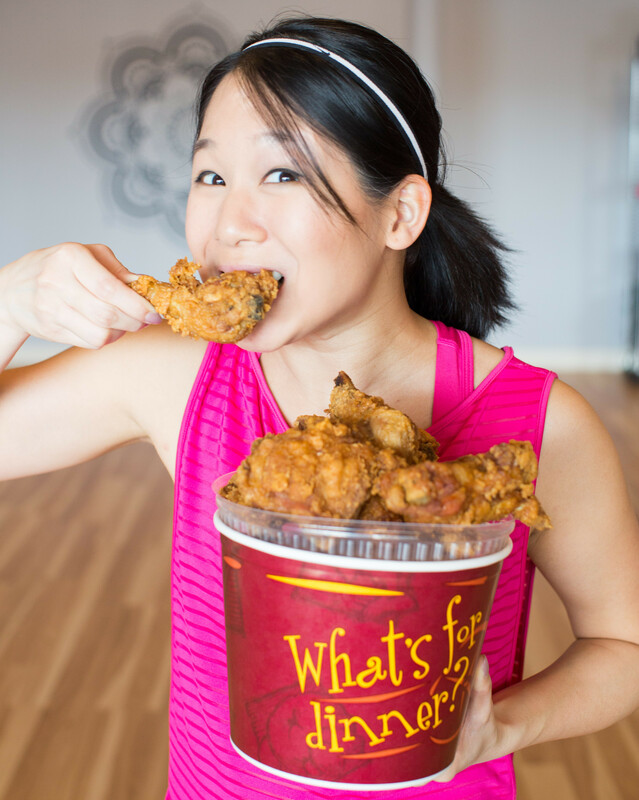 Deep Fried Fit received a partial media comp for her meals. A blog wasn’t required, however all opinions expressed are her own.